One of the first things that we have to learn as musicians is the notation and theory. How will we be learning this? Simple. I am going to break it all up into smaller parts so that you can understand it much better. Most students learn things in chunks, however big or small. The first thing that we will learn about is what music notation is. 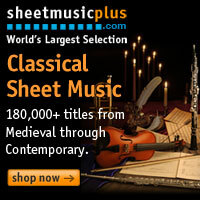 Music notation is the way we write down the sounds that we hear as music using shapes called notes. These notes are put on a staff, which helps say what a note's pitch is. 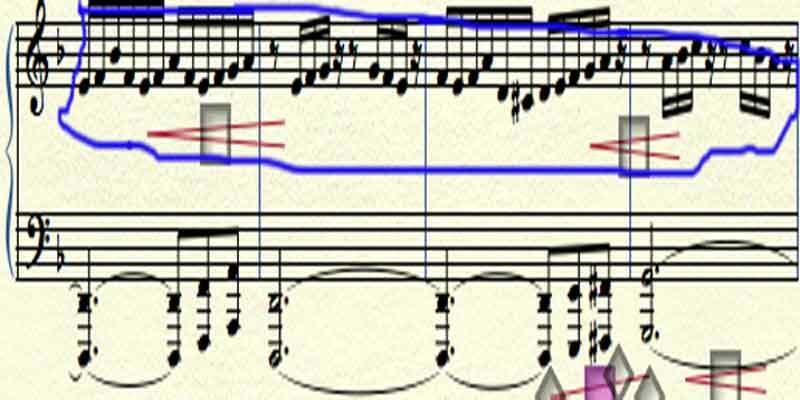 The part that is circled in blue above is an example of a melody in action (a rather complicated one). These notes and pitches come together to create what is called melody. There is a youtube video explaining this in detail above.